In cooperation with the Ministry of Health in Mongolia and Santé Sud, Sanofi Espoir Foundation aimed to strengthen the efforts to improve maternal and child health for the people of Arkhangai, Mongolia. 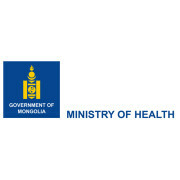 The main objective of the project supported by the Sanofi Espoir Foundation is to improve the quality of care for the population of Arkhangai by boosting the skills of health workers in obstetrics and neonatal care, building networks among all associated stakeholders in maternal and child health in the region, and stepping up the organization of all hospitals involved in the maternal and child care value chain. This program forms part of the strategic health development plan in the Arkhangai region led by the Regional Directorate of Health. Together with Sante Sud, the program aims to achieve the following outcome: maternal and child health between firstline and reference will be managed by the Regional Directorate of Health; Soum hospitals will develop their own project; health personnel gain full competence in maternal and child healthcare; and health facilities will be properly equipped to enable better maternal and child healthcare. The Sanofi Espoir Corporate Foundation was created in October 2010 by Sanofi to leverage more than 15 years of commitment to international solidarity. It is dedicated to helping reduce healthcare inequalities, particularly among the world’s most needy communities, as part of its social responsibility agenda. Its actions revolve around three major objectives: controlling childhood cancer, fighting against maternal and child mortality, and ensuring access to healthcare for the world’s poorest populations. The Foundation provides support to field personnel with the aim of strengthening local expertise in addressing every link in the healthcare chain. In addition to responding to humanitarian emergencies, the Foundation’s actions are in line with the Millennium Development Goals, particularly those relating to fighting diseases, improving maternal and neonatal health, promoting gender equality and empowering women, fighting poverty and implementing a global partnership for development. The Foundation provides a dedicated operating framework, a governance and additional resources to gain better leverage from initiatives already underway, and a stimulus for new projects as an ideas lab. Santé Sud is a NGO that works with international solidarity and specializes in the training of local human resources and the promotion of development projects. Health care professionals who were confronted with the limitations of emergency aid created Santé Sud in 1984. Our members (social and medical professionals), work with partners in developing countries on sustainable projects. Santé Sud is made up of over 300 volunteer members and 40 employees, 28 of whom are in developing countries. The annual budget is 1.8 Million Euros. 85% of the budget is used for actions in developing countries. Santé Sud is funded by the European Union, the French Foreign Minister, the French agency for development, the United Nations as well as many other foundations, institutes and companies. 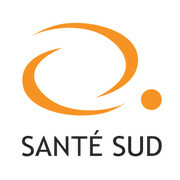 250 sponsors and 1500 donors provide support for Santé Sud. Santé Sud was awarded the Associative Transparency award, which guarantees the financial reliability and the quality of information. We strengthen the capacities of health care professionals in developing countries to allow for the vulnerable populations to have access to sustainable and quality health care. These populations are usually penalized by their geographic isolation (rural communities), by their disease or by their mental, physical or social handicap. We work to ensure that populations in developing countries can be cared for by qualified local human resources. Our actions are centered around training and capacity building. The actions are based on: the understanding of local needs, the exchange of knowledge and experiences, and the close collaboration between policy makers and health care workers in the field. With our partners we have carried out more than 80 health care programs in over 25 countries. Today we have programs in Africa (Mali, Madagascar, Mauritania, and the Central African Republic), in the Mediterranean area (Algeria, Tunisia, and Lebanon) and in Asia (Mongolia). The technical experience and adaptability of our team who are experts in social and medical fields as well as project management. A professional approach to project conception and management. Providing conditions for fair competition among all citizens for the benefit of every citizen to ensure the fair competition, choice, safe and quality health diagnosis, treatment and treatment.